Clare A. Briggs was born in Reedsburg on August 5, 1875 to Mr. and Mrs. William Pardee Briggs. At an early age Briggs became a sketch artist, and in 1896 he accepted a job as an illustrator with the St. Louis Globe-Democrat. After working for several newspapers, he gained national recognition as a cartoonist with the New York Herald Tribune. 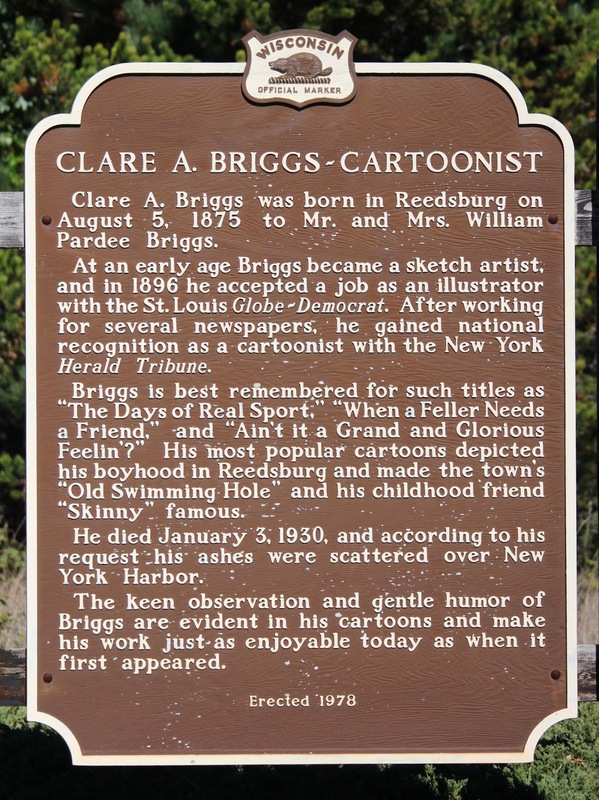 Briggs is best remembered for such titles as “The Days of Real Sport,” “When a Feller Needs a Friend,” and “Ain’t it a Grand and Glorious Feelin’?” His most popular cartoons depicted his boyhood in Reedsburg and made the town’s “Old Swimming Hole” and his childhood friend “Skinny” famous. He died January 3, 1930, and according to his request his ashes were scattered over New York Harbor. The keen observation and gentle humor of Briggs are evident in his cartoons and make his work just as enjoyable today as when it first appeared. 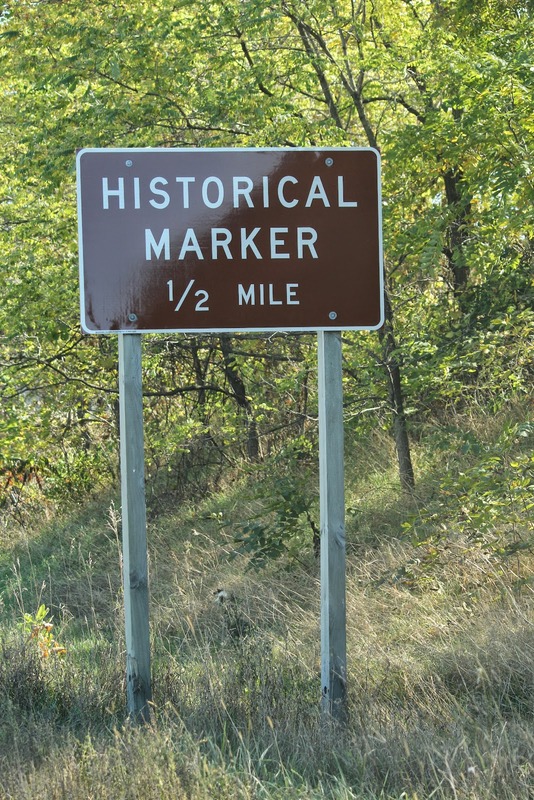 The marker is located at a highway wayside on westbound East Main Street / Highway 33 / Highway 23, between Wakerly Lane and Northwoods Drive, Reedsburg, Wisconsin 53959. See also, Clare Briggs, Cartoonist, a related marker at a nearby location. I thought Briggs had a regular comic strip which was syndicated< is this true. When I was in highschool at Webb High, I was told his swimming hole was in the river near the highschool where it was in the 1960's. 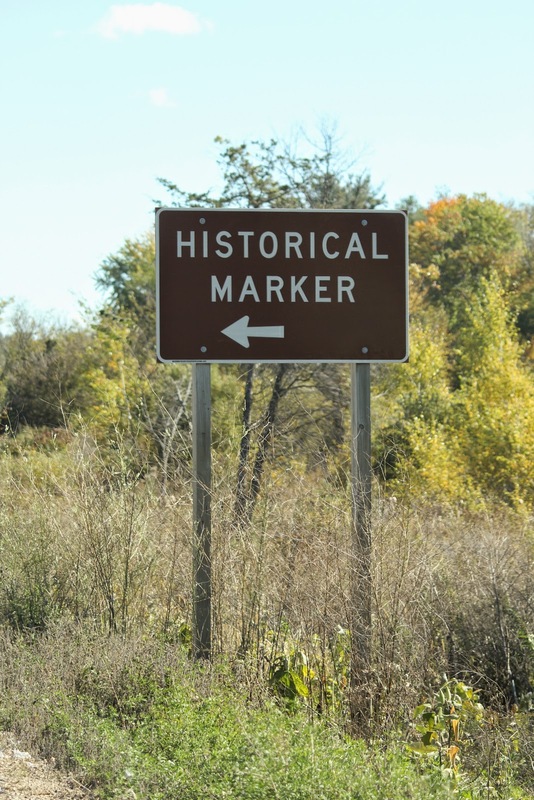 But the cartoon names mentioned on the marker, dont "ring a bell" with my memory of what i was told.